The EZE-Breeze windows have arrived, and it’s time to finish the 3-season room. What a difference the new windows have made to the appearance and functionality of the new room! The EZE-Breeze system has made the room practically waterproof, so it has opened new possibilities in decorating for the homeowners. 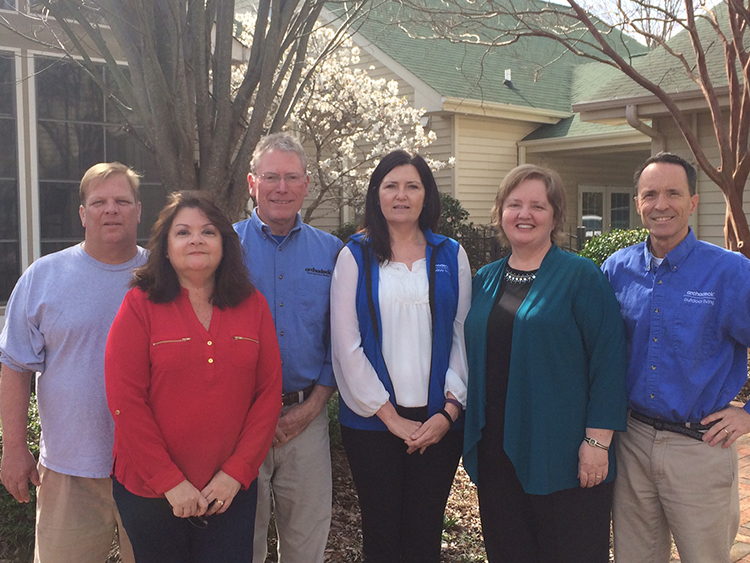 Weather and other concerns, like pollen season, are no longer a worry. 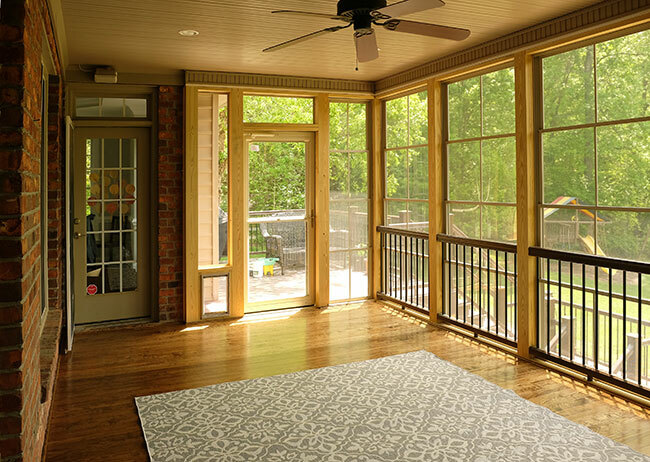 The homeowners can be assured that the new furniture, rugs, and pine tongue-and-groove flooring won’t be ruined by a sudden storm, or affected by pollen that is so prevalent in the spring. Knowing a big spring cleaning will no longer be on the to-do list is a big plus and makes the room even more enjoyable. Cushions on the furniture will no longer have to be stored away to prevent them from being ruined in the humid weather, and nicer rugs can be left in place. The dark stain applied to pine tongue-and-groove looks great – just the right shade to blend with the dark EZE-Breeze framework and just the right amount of warmth to make the room comfortable and inviting. This is not an easy feat, and our flooring guys have once again done a superior job. 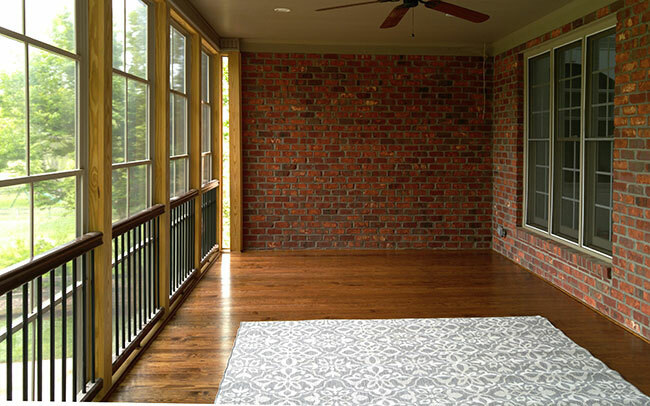 The possibilities for this room are endless, and it is now up to the homeowner’s imagination to make the 3-season room even more the room of their dreams. The room opens to an added Timbertech deck, which is the perfect addition. The outdoor grill is now more convenient to the kitchen. No more going up and down the stairs to access it on the cement driveway below. The deck is also big enough to accommodate outdoor seating. This is a big bonus when you need to be close to the barbecue or just want to sit outside in the sunshine. 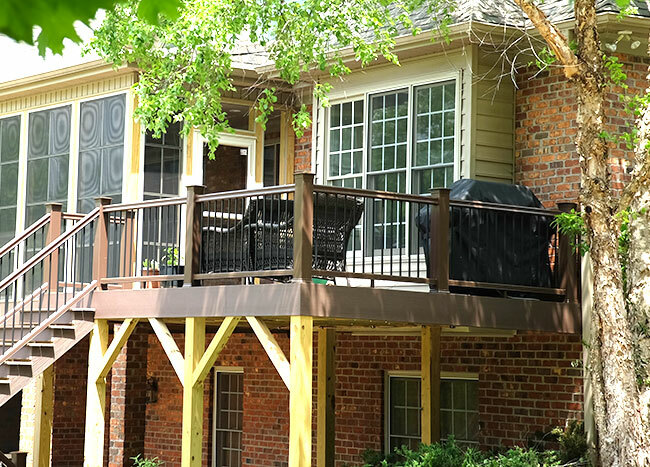 To add interest to the deck, we have installed the boards at a different angle, which takes a little more time and expertise, but finishes the deck off nicely. 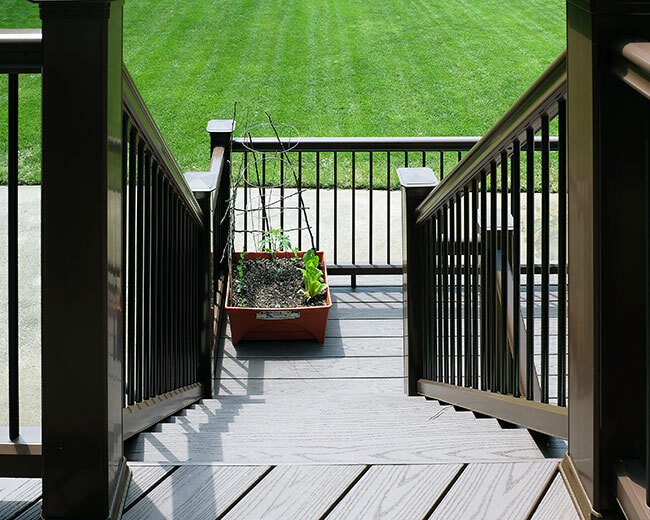 As we wind our way down the Timbertech stairway with the sleek RadianceRail rails, we notice a smaller landing that serves the dual purpose of breaking up a long staircase as well as providing a safer way to access the backyard. This landing also helps the stairway fit in with its existing environment and provides the perfect spot for growing some herbs or even tomatoes! 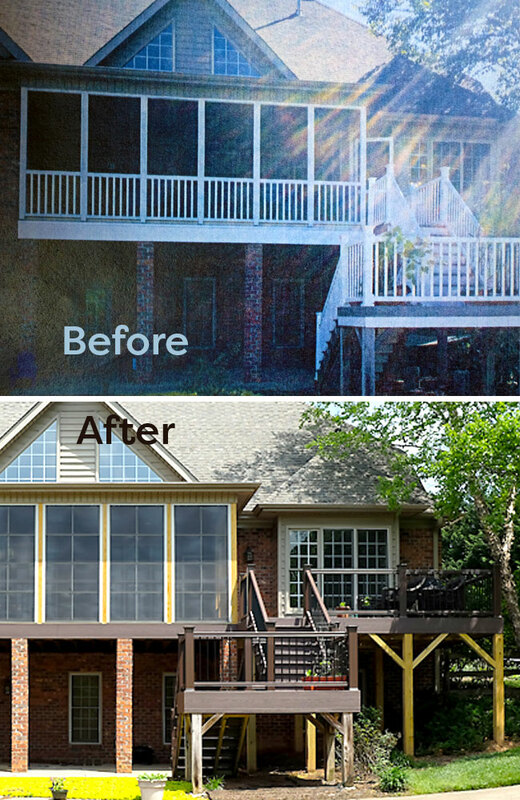 We finally get to view the before and after of this 3-season room and deck project in Winston Salem and are confident that we have once again delivered on the homeowners’ wishes.